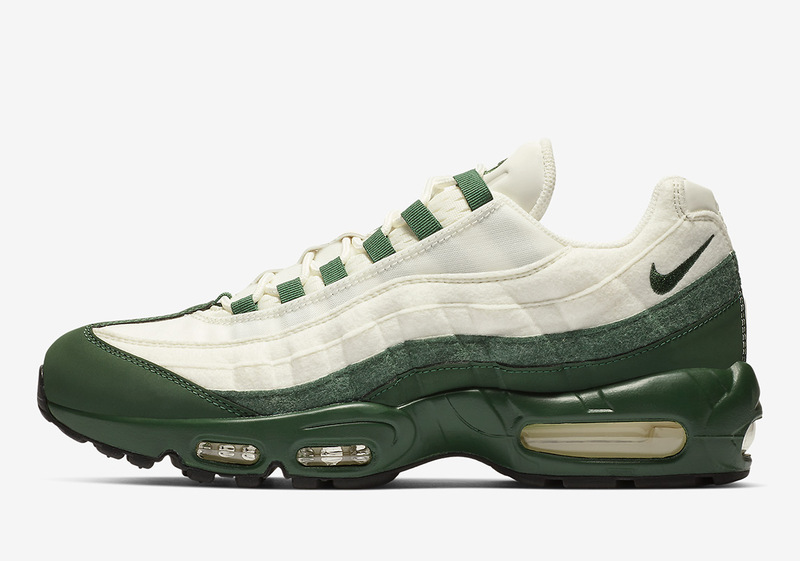 For March, Nike Sportswear has most of its attention focused on its “Have A Nike Day” marketing campaign and a slue of vintage color schemes adorning favorites the likes of the Air Max 97 and the Air Max 1. 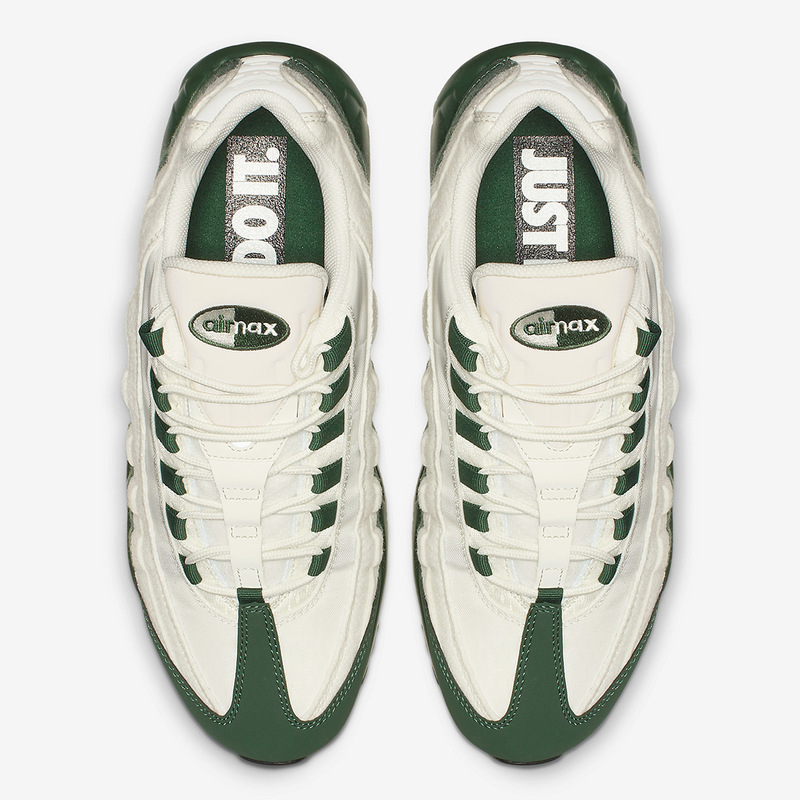 While this cheeky catchphrase is doing most of the work this Spring, it was “Just Do It” that dominated the shelves in 2018, with a seemingly countless array of NSW creations dropping in different colors, patterns, and more. 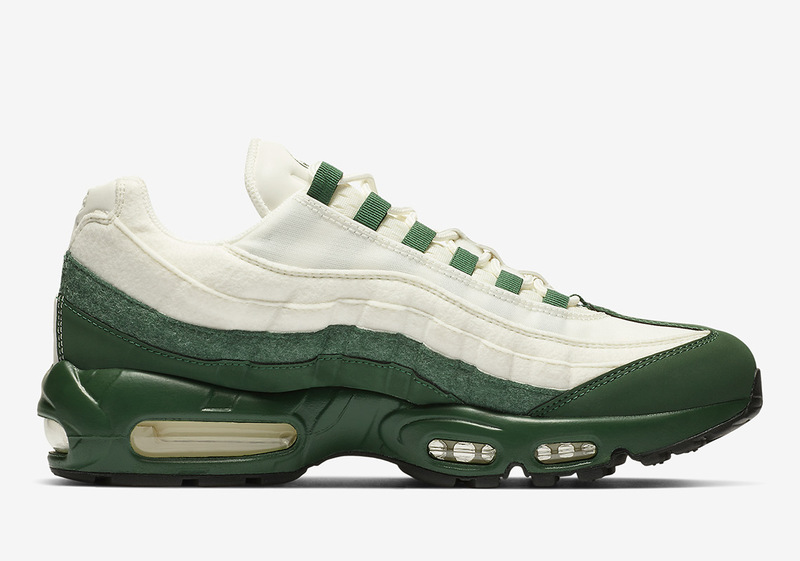 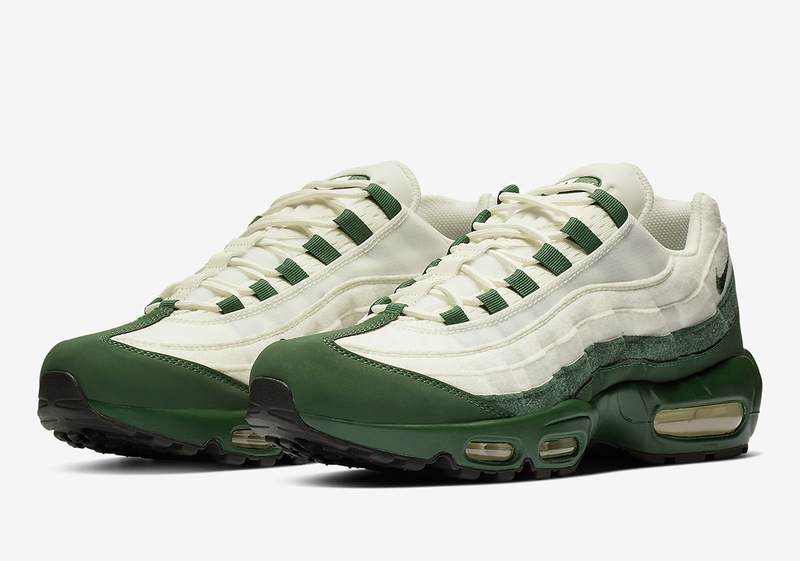 Unique from most of last year’s set, this new Air Max 95 “Just Do It” opts for an attractive and seldom-used color combination of sail and olive green. 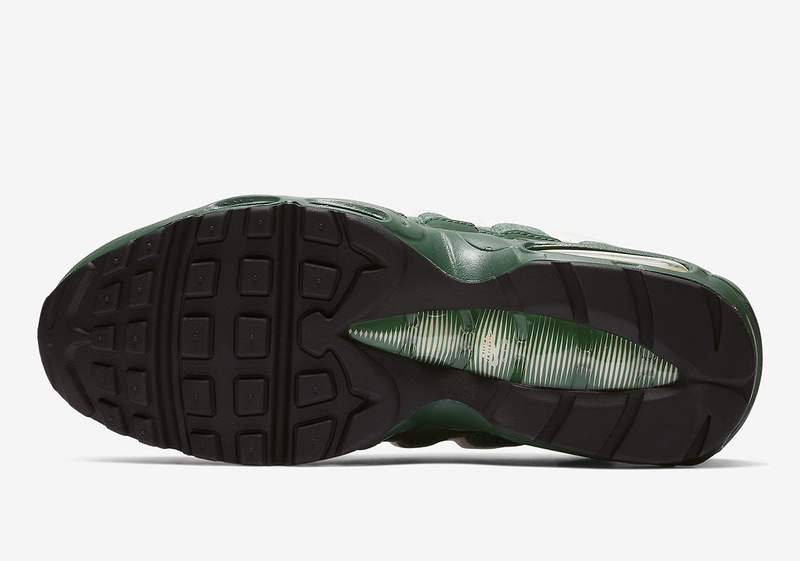 While most 95’s equip leather constructions, this variety opts for hits of felt to go along with its leather, providing potential consumers with a quick premium touch. 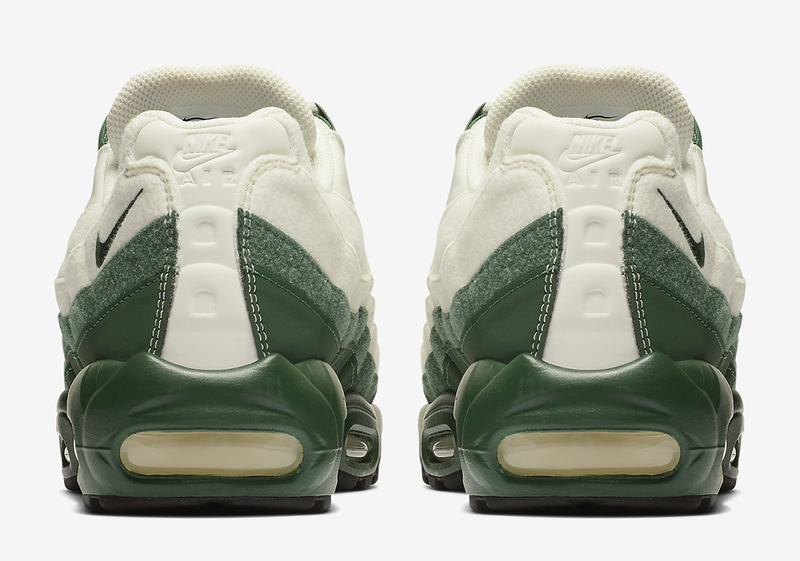 As Air Max Day approaches this March, Beaverton diehards can enjoy a detailed look at this new AM95 below and keep it locked for updates regarding its forthcoming drop.